« Day 87 in Beijing: Popcorn! Get Your Hot Cream Flavored Popcorn Here! The always romantic Valentine’s Heart. 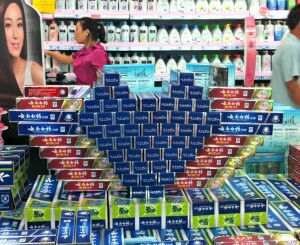 This time made with toothpaste boxes. 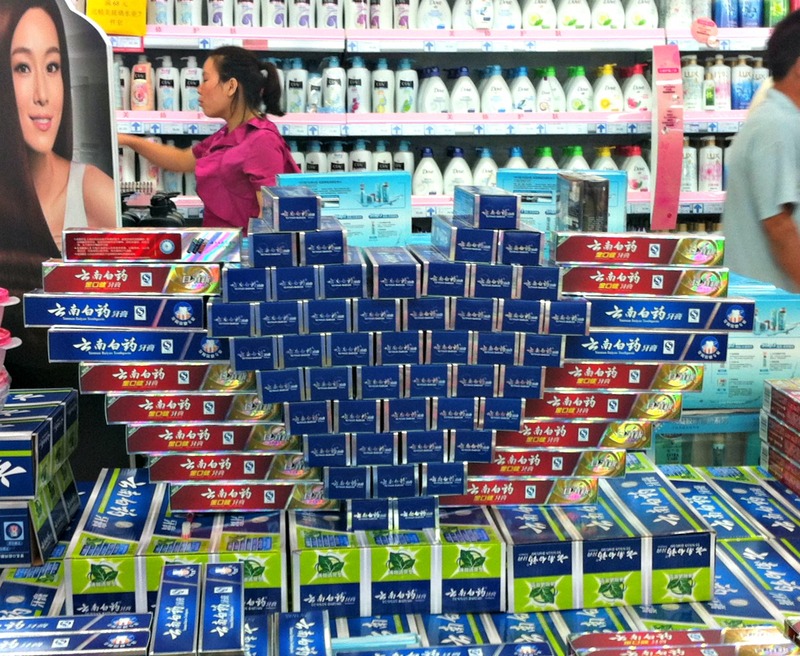 Chinese Valentine’s Day was August 13th this year. It is also known as the Qixi Festival from legend about a love story between a weaver girl and a cowhand. Unlike Valentine’s day in the U.S., it falls on a different date every year since it is not tied to a specific date but to a lunar calendar. It is set on the 7th day of the 7th lunar month. In China, as in the U.S., Valentine’s day is promoted with pictures of hearts, cupids and other cute cards and pictures of people in love, giving gifts and being amorous. In my local grocery store, they are more inventive about it.